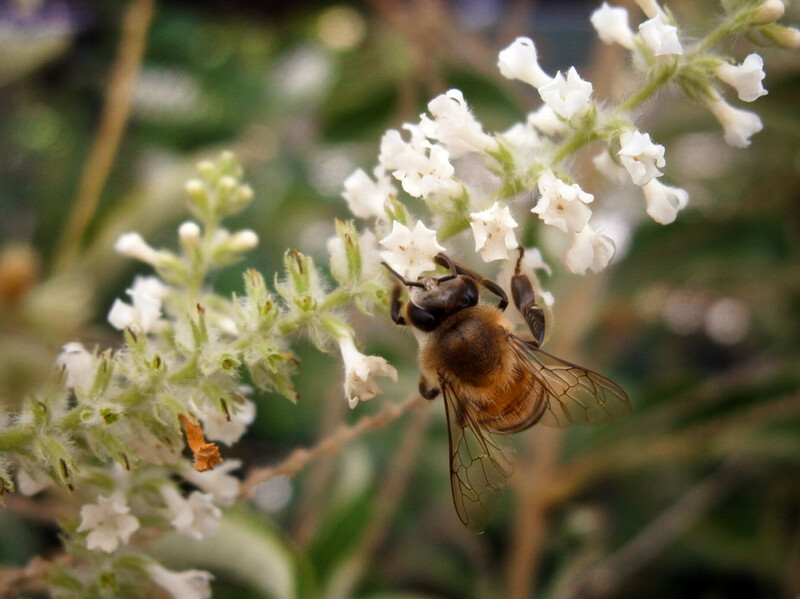 This bee loves Almond Verbena and we bet you will too. Those slender spikes of tiny white flowers have plenty of pollen for the bees and lots of fragrance for us to enjoy. Their fragrance is strong and sweet, but that's not all. This is is one tough plant! It is heat and drought tolerant once established and tolerates San Antonio soil (or lack thereof). Almond Verbena has a sprawling, bushy appearance making it something you'll want to plant as a backdrop to other perennials. and away from paths. The foliage is coarse and scratchy; plant away from pathways. Almond Verbena is great to plant near a deck or patio where the scent of summer flowers will come up to greet you! This thing grows fast too. You'll want to give it plenty of room, as it can reach 10-15 feet tall and 6-10 feet wide. The downside? It may not survive a very hard winter. Most years though, it will freeze to ground level and come back the following spring. If winters are mild enough, you may even be able to maintain Almond Verbena as a small tree. By the way, we have a TON of these available now at The Garden Center! Come pick up yours today!